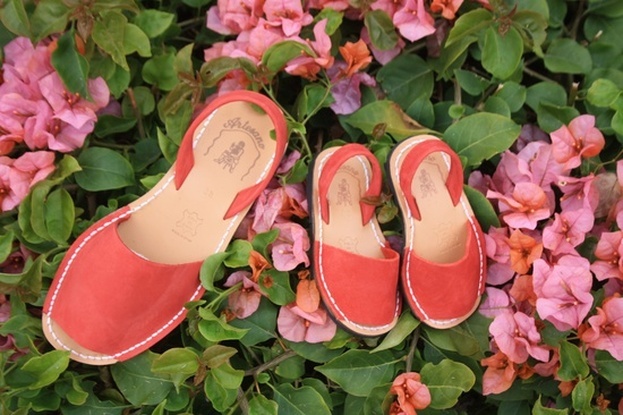 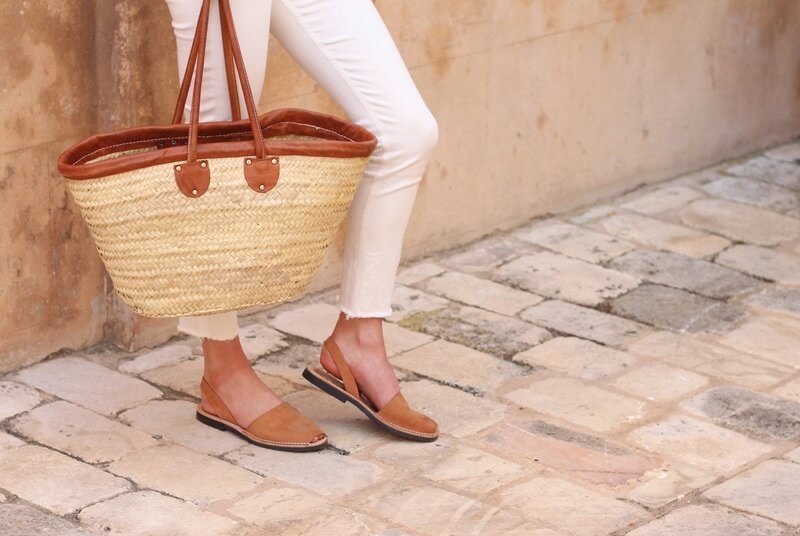 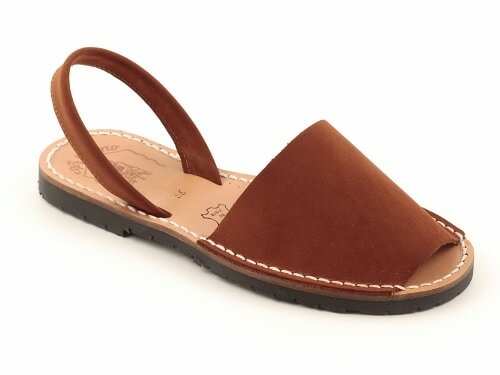 Menorcan sandals (also known as Abarcas, Avarcas and Menorquinas) in suede and nappa leather and a great variety of colours. Handmade in Spain with the highest quality leather, following traditional artisan production methods. 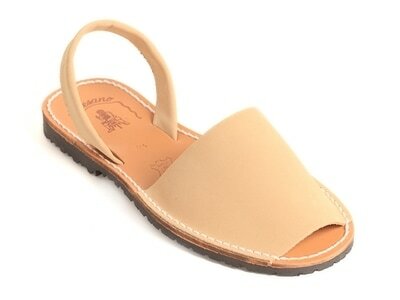 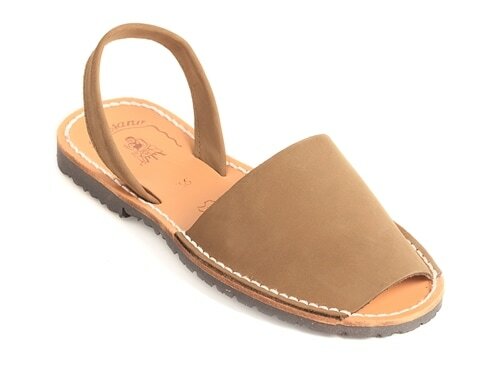 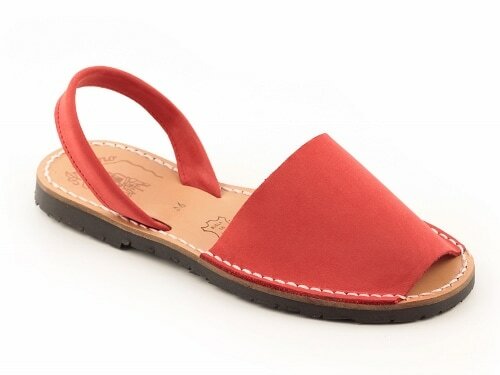 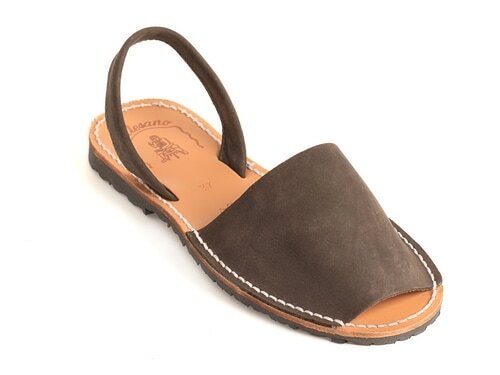 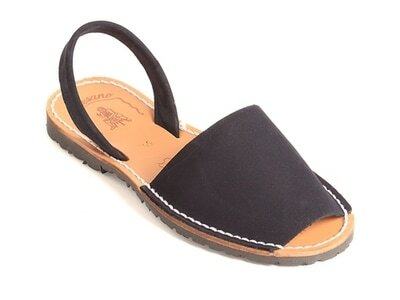 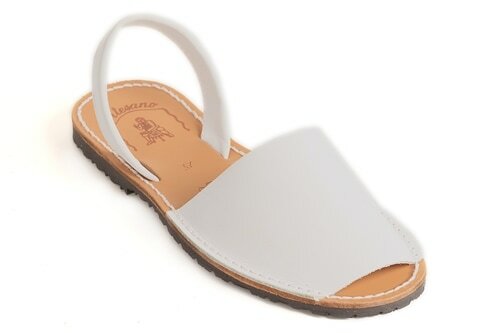 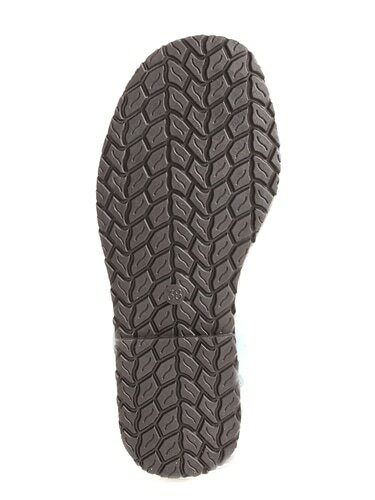 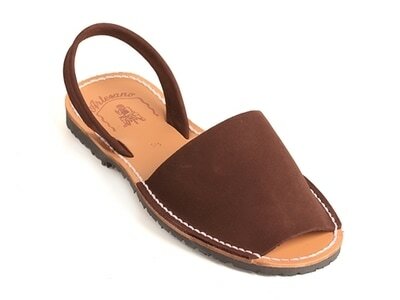 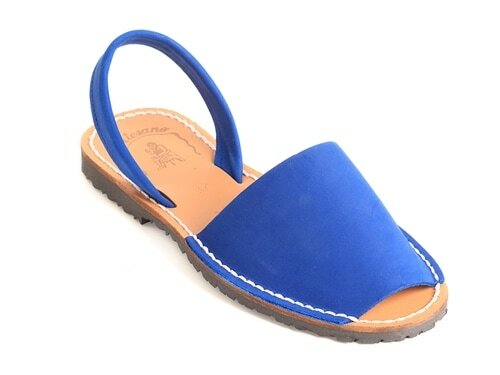 This is a leather sandal with stitched leather insole and outsole ultra light. 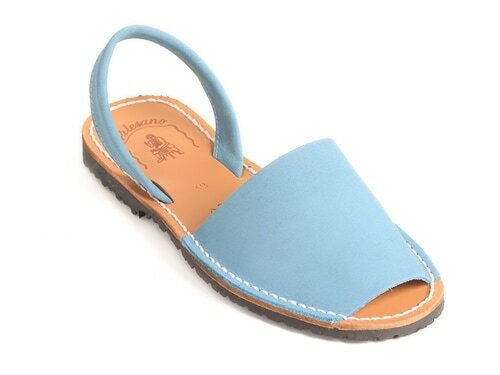 Colours available in soft suede: Beige - Yellow - Orange - Red - Burgundy - Pink - Fucshia - Lilac - Purple - Pistachio - Khaki - Green - Baby blue - Turquoise - France blue - Navy - Leather - Brown and Gray. 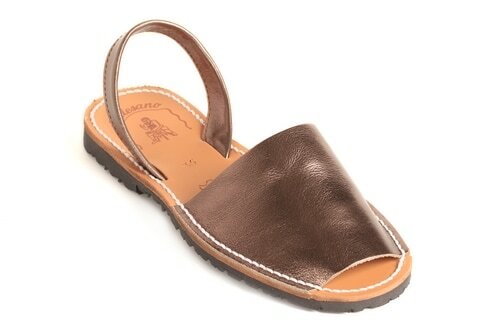 White, Black, Copper, Gold, Silver and Old silver are crafted in soft nappa leather.